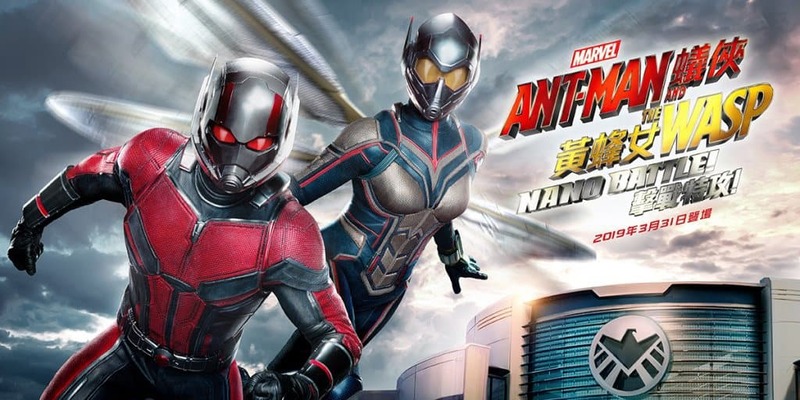 Hong Kong Disneyland’s Ant-Man and The Wasp: Nano Battle! opens March 31, 2019. This exclusive attraction “shrinks” guests as they join Ant-man and the Wasp in a fight against Hydra. 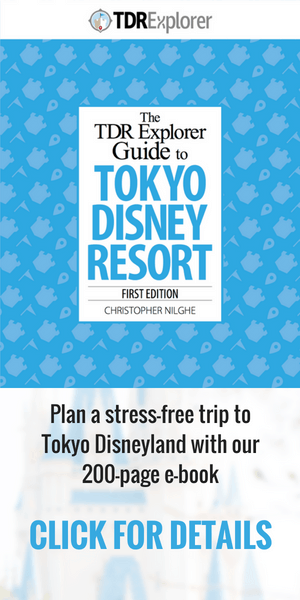 Hong Kong Disneyland has release details of the attraction’s development, storyline, and special food and merchandise. 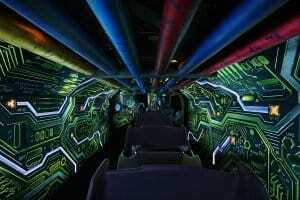 Hong Kong Disneyland’s latest attraction opens in the new S.H.I.E.L.D. Science and Technology Pavilion in Tomorrowland. The interactive shooting ride features Paul Rudd and Evangeline Lilly reprising their roles as Ant-Man and The Wasp. Ant-Man and The Wasp Director Peyton Reed and composer Christophe Beck were involved in the ride’s development to achieve an immersive cinematic experience. Ant-man and The Wasp: Nano Battle! 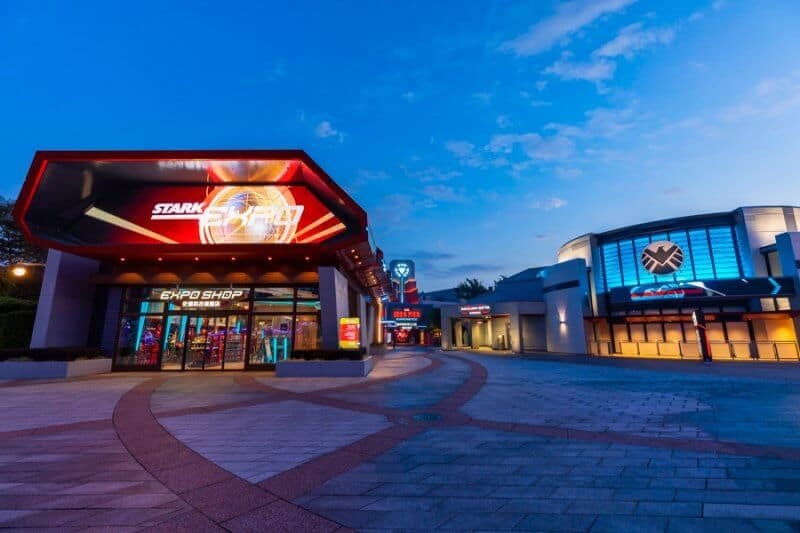 is located alongside the Iron Man Experience, which opened in 2017. A third Avengers-themed attraction is in the works for 2023. 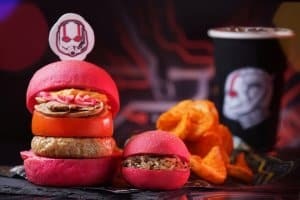 Hong Kong Disneyland has released full details of the attraction’s storyline, including its direct connection to the Iron Man Experience attraction. 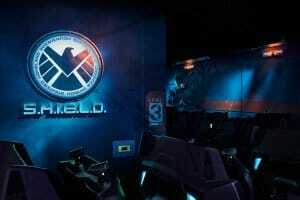 Guests will enter the attraction through the S.H.I.E.L.D. Science and Technology Pavilion, a new facility at the Stark Expo in Tomorrowland. But the tour is soon interrupted by Hydra, and here’s where it gets interesting! 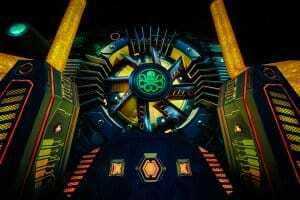 Hydra is attacking the Arc Reactor in Stark Tower in Hong Kong, as seen in the Iron Man Experience. As Iron Man battles Swarmbots in central Hong Kong, Iron Man calls Ant-Man and The Wasp to defend the S.H.I.E.L.D Pavilion from a second attack! 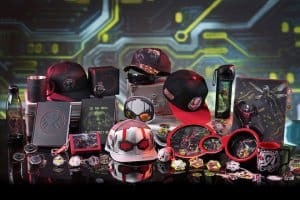 Arnim Zola has sent an army of Swarmbots to steal a Data Core containing all of S.H.I.E.L.D.’s research. Guests board new DAG/R “Dagger” combat vehicles and use EMP Blasters to take the fight to Hydra. The EMP Blasters track each guest’s score in a similar way to Buzz Lightyear Astro Blasters and Toy Story Mania, so guests can defeat Hydra and their friends at the same time! 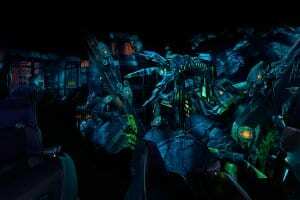 Check out this Disney Parks video for more on the attraction’s story and how it was created. 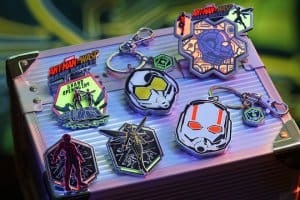 Hong Kong Disneyland is launching special merchandise, food, and park tickets to celebrate the opening of Ant-man and The Wasp: Nano Battle! 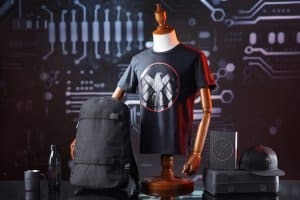 Pavilion Gifts, which opened in December 2018, already sells more than 300 Marvel merchandise items and will add an extra 40 exclusive items themed to Ant-Man and The Wasp when the attraction opens. Are you excited to join Ant-man and The Wasp in their battle against Hydra? 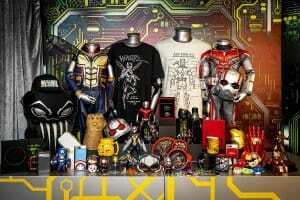 What do you think the future holds for Disney’s Marvel theme park universe? Let us know in the comments or on our Twitter, Facebook or Instagram. 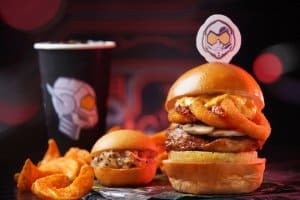 Do you think they’ll do early previews/soft opening? 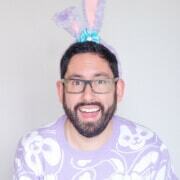 I will be there on March 27 and am bummed that their earlier announced “March 2019” opening turned out to be the very last day of the month.